Don’t go another weekend repeating the same boring dating plans. Better Dating Ideas has some lively and romantic suggestions for you to consider trying over the next few days in the beautiful city of Montreal. 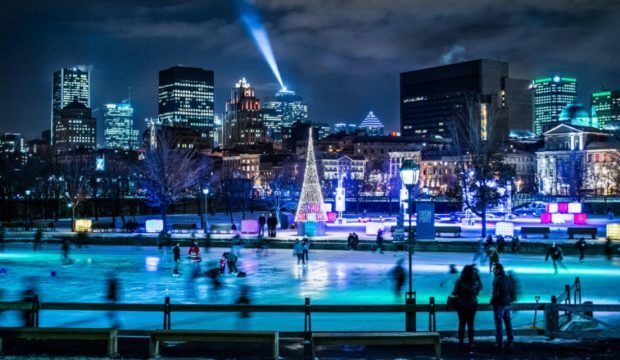 This Saturday February 2nd lace up your skates with your special someone and head to Parc André J.-Côté (116 Marie Victorin, Candiac) for the free ice-skating evening. Enjoy the festive atmosphere while listening to music provided by a DJ and gliding along the ice. Hot chocolate, coffee, mulled wine, and alcoholic coffees are also for sale on site. If you haven’t gotten out skating yet now is your chance! Be sure to bundle up for the chilly weather though. The event runs from 7pm to 10pm. Taking your dating game to new heights by hopping on the largest observation wheel in Canada. This giant Ferris wheel ride is sure to be incredibly romantic. Take in the breathtaking panoramic views of Montreal 60 metres above the ground! But don’t you worry, the experience is all in the comfort of a climate-controlled Gondola. Adult tickets are $25 each. La Grande Roue is located at 362 de la Commune Street East and is open daily from 10am until 11pm. Make some great memories and take some great pics! Are you and bae poutine lovers? If so, La Poutine Week Montreal could be the perfect date for you. Hundreds of delicious poutines will be available, as well as speciality recipes designed only for the event. Try as many as you would like and post pictures of your eats on Instagram with the hashtag #BossPoutine for a chance to win a poutine feast for you and three friends. The event runs from February 1-7.